FUSION CAMO BDU MILITARY COMBAT JACKET CADPAT. LENGTH: 29" 29" 30" 31" 31" 32" 32". 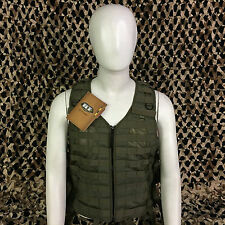 Airsoft, Paintball Combat Vest. great for airsoft, pintball, fishing, bikers etc. PERFEKT, UM UNTER EINER WESTE VERWENDEN. 2 TASCHEN AN JEDEM ARM, RÜSTUNG HINZUZUFÜGEN. Unten finden Sie eine automatische Übersetzung ins Deutsche. MAIN BODY ist elastische synthetische (dehnbar, seidig und wie eine zweite Haut). Plastic on front is ripped, also paper insert. ADJUSTABLE S-XXL. For paintball, target shooting, etc. The Valken V-Tac Molle Paintball Belt is the ultimate base platform for building a tactical loadout. 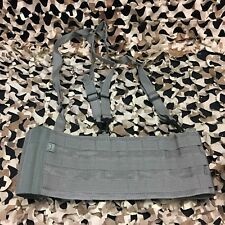 The Valken MOLLE Belt is constructed of heavy duty denier nylon and a dual tightening elastic waist strap for a secure and proper fit. New Jersey May 1 2019. Alabama, Oklahoma, Pannsylvania July 1 2019. Connecticut starting April 1 2019. Minnesota, Washington, Iowa February 1 2019. 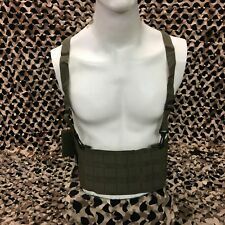 Valken Upper Body Pads. Being sold by reputable paintball dealer (PB Sports ). Impact Chest Protector Shirt - 2XL/3XL. Strategically cut and perforated EVA core padding. PERFECT TO USE UNDER A VEST. 2 POCKETS ON EACH ARM TO ADD ARMOUR. MAIN BODY IS ELASTIC SYNTHETIC (Stretchy, Silky and like a second skin). KHMountain Airsoft Supplier NEW Products. - Massive quantity of dyed, fire-retardant, camouflage fibers sewn to suit. 1 x Jacket, 1x pant, 1x head cover, 1 x rifle cover, 1 x carry bag. - Elastic and Drawstring in Pant Waist.